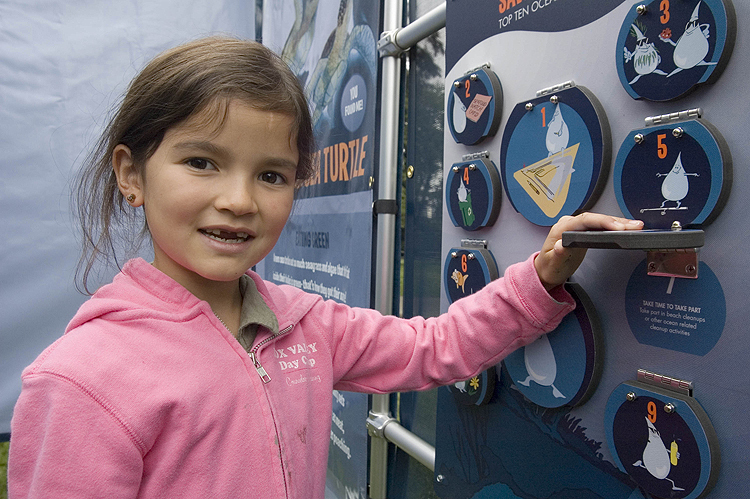 Since 2007, the Wyland Clean Water Mobile Learning Center has traveled coast-to-coast bringing education about water quality, water resource availability, and conservation to over 1 million kids and their families, including many schools whose field trips, science and art budgets have been drastically cut. Ready to roll into any school, festival, or community event, the Mobile Learning Center, a state of the art 1,000 sq. 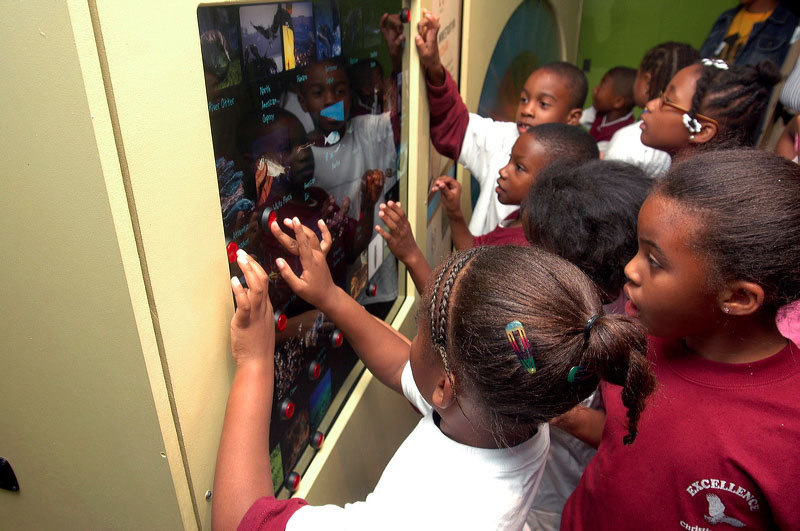 ft. bio-diesel learning exhibition on wheels, features a 40-person multisensory theater and six interactive stations. 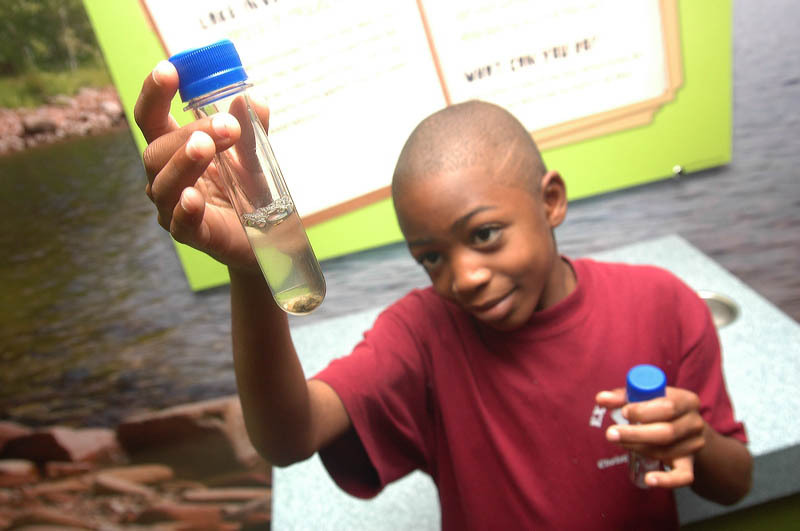 This exhibit is like no other and delivers a museum-quality science experience that allows students to explore how the quality and availability of water affects the quality of our lives. The mobile classroom provides a tremendous opportunity for students, teachers, administrators and the community to learn about conserving and valuing our precious water resources. CLICK HERE to fill out the request form to schedule a visit for your school or event today! 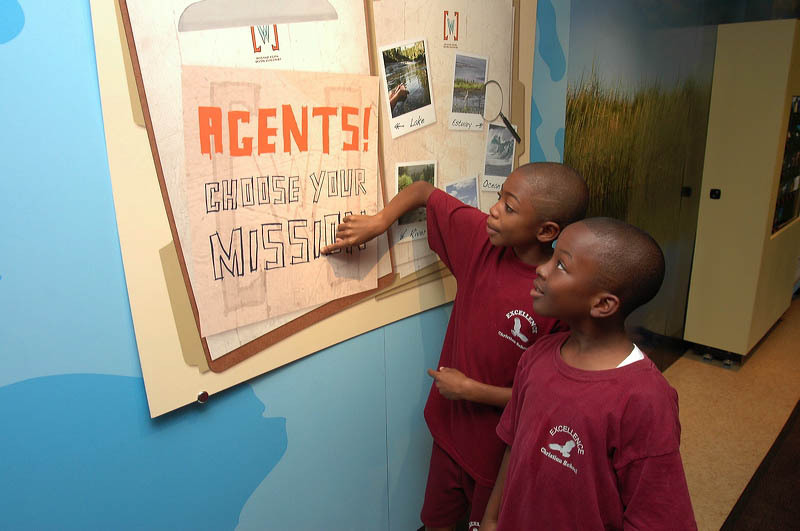 The Mission Begins: 4-D Multi-sensory TheaterUpon entering the Mobile Learning Center, students become new recruits to the Clean Water Challenge Task Force. 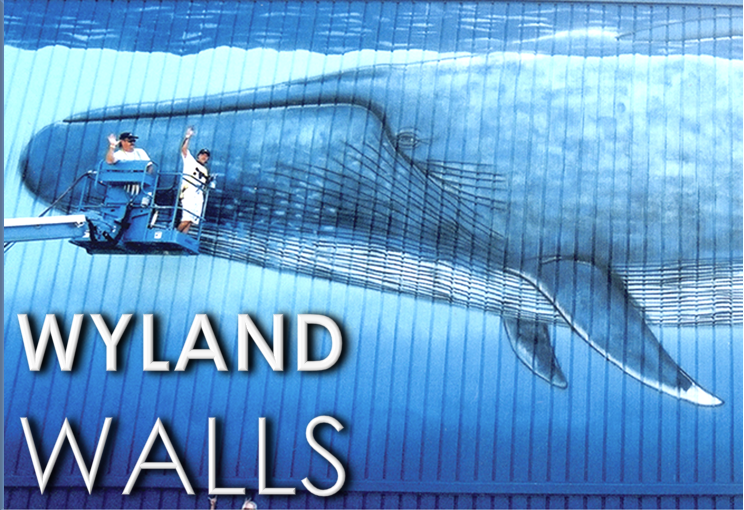 Their mission: to solve mysterious disturbances in the health of our nation’s water habitats. The film is their training and takes them on a journey through a watershed. They will track a raindrop from the mountaintops all the way to the ocean. Taking them on this journey is humorous “Agent 13” and CWC agents such as television host Sal Masekela, professional skateboarder Tony Hawk, and professional snowboarder Tara Dakides. Wheel of (Mis)Fortune ExhibitAgents spin the Wheel of (Mis) Fortune. Once it stops moving, they read an event that the wheel is pointing to. Below each event are directions telling the agents what to do as a result, which will be to either turn ON or OF some life form on a lit panel next to the wheel. The purpose of this exhibit is to show students the reaching connections between the organisms in the food web and to understand that impacts on one organism can impact the entire ecosystem. Understand Pollution in our Ocean (With Actual Falling Rain! )Leaky motor oil. Flushed pharmaceuticals. Fertilizers. Discarded cigarettes. 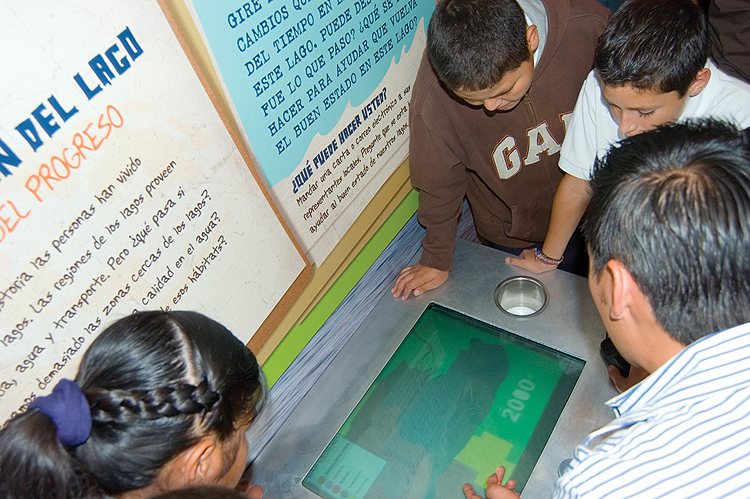 This highly interactive exhibit simulates impacts from dumping pollution into our water systems. Agents place colored plastic balls representing pollution on the “watershed” model. Agents press a button to create rain over the urban landscape, sending the pollution down through the watershed, into our communities, and out into the ocean. Examining Wetlands Using a Video MicroscopeAgents will remove test tubes with macro-invertebrates and examine them on a glass tabletop with a video microscope. Images of specimens will appear on a monitor in front of the students. Their objective will be to identify these specimens using ID sheets provided and determine if the macro- invertebrates are pollution tolerant. Flowing River ExhibitThis actual running river is a great way for students to discover the many needs of our communities for water – and to get their hands wet along the way. Students are asked to divert water up and down the river to ensure it meets the needs of agriculture, industry, businesses, homes and tourism – and still have enough supply to reach its final destination. Just like government and business leaders must do today. 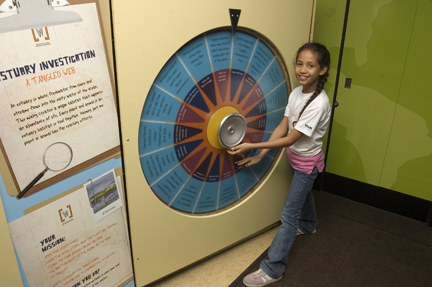 The purpose of this exhibit it to encourage students to work together to determine which combinations work best. Interactive Touch-Screen: Our Watersheds, Our LegacyOur newest exhibit, "Our Watersheds, Our Legacy," takes students on an interactive high definition photographic journey through some of the nation's most vibrant and important watersheds, utilizing the latest dual touch screen technology. Sponsored by the US Forest Service, the exhibit letsstudents manipulate high resolution images for close inspection of key features of the watershed, ranging from high altitude snowpack to tributaries to rivers and lakes, watershed divides, wetlands and aquifers. Computer Modeling Exhibit: History of a LakeIn this interactive, students discover how human settlement, farming and industry affect a lake region over a period of four centuries, starting with early colonials to modern industry. With all that use, is the lake sustainable? There are 200 frames representing this history starting at the 1600s. The task is for agents to spin the wheel and observe the changes caused by both humans and nature over time. Fill out the request form to schedule a visit for your school or event today! We had more than 1,300 Lamphere students participate in the learning center during the four days it was here. This was a very worthwhile event for our students who were excited and engaged while learning about the environment and the effects of pollution. In fact, I believe all of us - students, parents, and educators - all came away with a new understanding and appreciation for our environment! 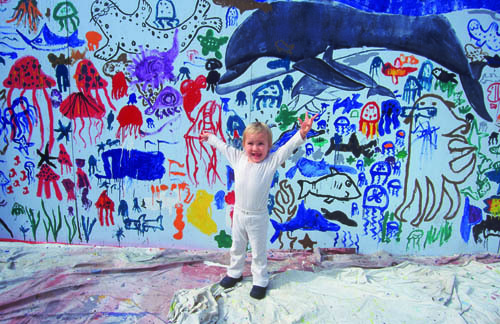 I was so impressed with Wyland Foundation, the mission and the connection you are making with children in the community. My niece had an opportunity to see the Mobile Learning Center and I promised her she could have the hat when I signed up. 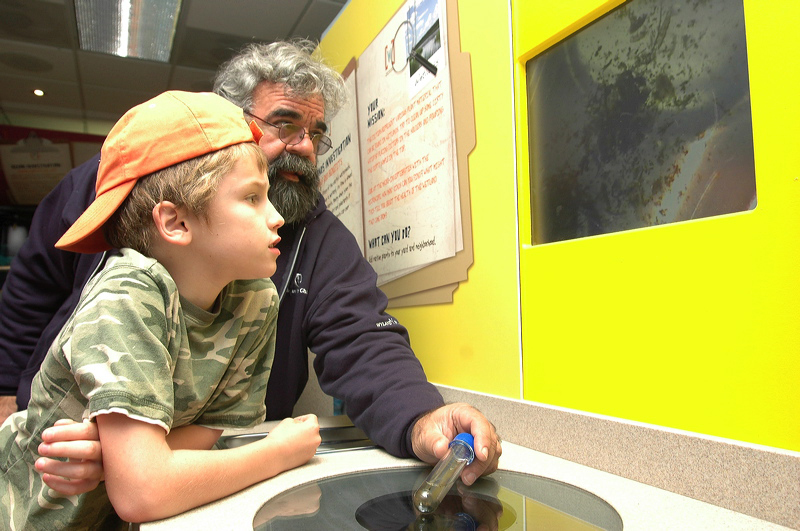 "This is a small science museum, but in your own backyard."